Uplifting Love: What Do Sea Turtles & Babies Have in Common? Well, what do you think? Sea turtle. Baby. Do you see the connection? Sea turtles are magnificent and beautiful creatures. They start life fighting to get to the ocean as the most adorable little baby animals breaking out of their eggs and crawling for water. Babies (after a couple of days) are beautiful and magnificent little creatures too. They are so perfect and pure and just being able to hold a baby is a gift. But that's not what sea turtles and babies have in common. At least not what I'm thinking about. Care to proffer another guess? When a sea turtle and a baby are newborns they can both fit in your hand and when they are full grown they'll weigh more than you do. But that's not what I'm referring to either. Let's see. They aren't the same color or shape. And leatherback sea turtles, the largest in the world, can grow to be over 1,000 pounds so they wouldn't weigh the same either. So what DO sea turtles and babies have in common? When they are born they are extremely vulnerable to the environment around them. Sea turtles are born at night so that they can escape to the ocean under cover of darkness. According to marinebio.org any turtles left on the beach when the day dawns are quickly eaten by predators or they die in the sun. Baby humans are also very vulnerable to their environment. The can catch illnesses, get too hot or too cold, go hungry, and be neglected. If left to themselves they would not survive to adulthood. God, knowing about these vulnerabilities, created sea turtles so that they would hatch at night and imbued them with a sense of direction that points them to the ocean where they will find shelter and food. Baby humans are blessed with mothers, fathers, and families to shield them from illnesses, help regulate their temperature, provide them with food, and care for their needs. So that's a second thing that sea turtles and babies have in common: God provided ways to help them survive their environments. Pretty cool. Now I ask you two additional questions. First, why are families so important? Second, why is marriage so important to the family? 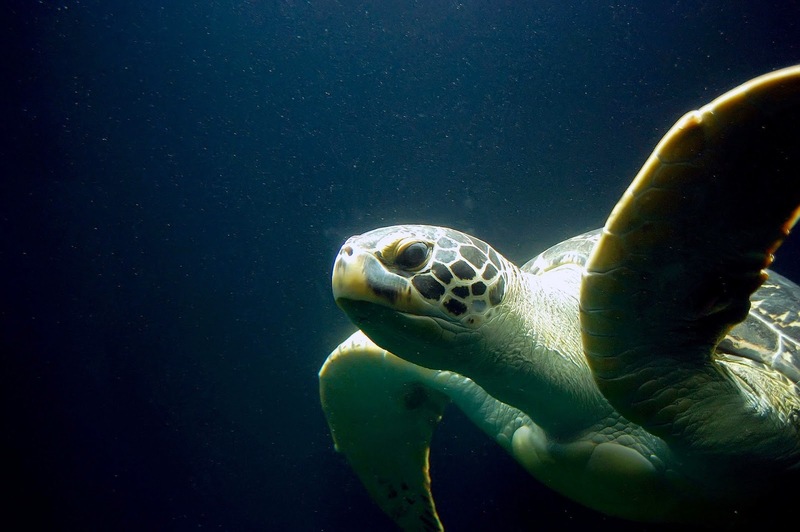 What can you learn from a sea turtle? I think we should all try to develop a thicker shell. Ha, Ha! Develop a thicker shell! That's cute! Interesting article, I like the way you paralleled the baby and the turtle. To answer your question families are important because of the covenant relationship and the dynamic which God instituted when he made man in His image. Marriage is a necessity to the family because of the stability, authority, and example it provides in the home. Most importantly because God calls it good and created it for a purpose to glorify Him.